What is wrong with the pictures coming out of Ferguson, Missouri? Is that what middle America is? Are we a racist nation? Last question first. No, America is not a racist nation. How can a nation be racist when the president, the attorney general, the national security adviser, and several other prominent officials are black? There are prominent blacks in every profession, stars in every professional sport and other entertainment areas. Blacks with military honors serve in every branch of the Armed Forces. Graduating students from our universities are black, as were some of their professors. No, we are not a racist nation nor are we a nations of cowards. In America, if you can walk the walk and talk the talk you can make it, no matter the color of your skin. While words are important, actions and real circumstances tell us more. The words coming out of the president and attorney general do not help to calm the situation in Ferguson any more than the words coming out of the professional race manipulators who circle every possible injustice like a group of vultures swirling around the spot light of public attention. The shooting in Ferguson calls out for a real investigation of the facts, not political speeches crying racism is the cause. Shouldn’t the rush to racist statements on the part of our president and attorney general wait for the investigations to be completed before making racist pronouncements. Didn’t we learn anything from the Treyvon Martin case? Too many bright young black teenagers, especially males, are being killed by senseless acts. The nation needs these young people. We need to give them time to live and contribute. Let the Ferguson situation play out, but deal severely with looters. Peaceful demonstrations must always be allowed but not street violence. Peaceful demonstrators of any color do not come to demonstrate with Molotov cocktails and guns. The police have a duty to protect the citizens of Ferguson from the violence of rioters and looters. And the attorney general and our president need to deal with the mass killing of young black teenagers by black on black violence. Mr. President, tell your attorney general to go to Chicago with his legions of investigators. Give the young blacks of our inner cities a chance to live. Give them jobs and hope. So far you have done nothing to help them. Making them dependent on government money is not the answer. Give them real jobs, a chance to raise a family and give back to the community. Show them real justice is color blind. Your first step should be to remove your current attorney general who has said we are a nation of cowards when it comes to race. He is not an example that justice is color blind. We are not a nation of cowards and we are not, today, a racist nation. The pictures coming out of Ferguson fill the media’s appetite for sensational news but do not describe America. When I think about the number of our citizens who voted twice for the Progressive agenda of Barack Obama and who probably would give him a third or lifetime term, it is simply frightening. His supporters are not all from the have-nots of our economy, but he couldn’t win without their vote. Those who have bought into the welfare state from need, guilt, or a belief in the paradise that progressives promise they will build in America, will vote for the progressive slate every time they go to the voting poll. Why? What are the factors that allow the progressive myth to live on? It is a popular version of the Robin Hood myth. From comic books, to classic literature, religious writings from before capitalism, to the barrage of film industry escapism, nearly all villains are wealthy and do terrible things to get richer. This story line is so deep that the celluloid actors and actresses who make millions from acting in these make-believe stories, with a few exceptions, provide funds and personal support to the progressive agenda. They believe in the myth that progressives can build a better society here on earth. Their zeal is matched by that of the people we entrust with the education of our youth. Great American universities have become the spawning grounds of millions of young people who have been fed the progressive myth, semester after semester. Beyond conservative talk radio, a few television channels and an occasional best-selling book there is no counter-balancing message to the progressive religion. What is the essence, the core belief of this secular religion? There are a number of myths, but the pillar of the progressive church is the myth that human nature can be changed under a rigid leadership of a progressive elite. The elite can pass laws and regulations that will be enforced relentlessly until there is no longer a need for enforcement. People will now live in a society where the principle of distribution of wealth is not dependent on birth or ability or hard work. There will be no exceptional citizens. Only the ruling elite is exempt from the rules and regulations. There will be no winners or losers. We will all be equal. Individual freedom is sacrificed for the good of all people. This is not theory. It is history for the few who bother to read about the paradise Lenin, Marx, and Stalin brought to Russia, or Mao tse Tung brought to China, or Castro to Cuba. There are many other examples. Several such communities were tried in America. All socialist, progressive, communist societies have failed or are failing. Whatever they call themselves, they all worship the same myth. The essence of the myth is not complicated. Progressives believe that people cannot be trusted to make life decisions, develop and manage small businesses or large corporations without constant regulation and taxation to distribute wealth to all. To them, all entrepreneurs are evil, self-seeking people who want to exploit their fellow citizens by giving them jobs that further enrich the people who started the businesses. These business leaders then amass political influence and use their power to influence elections. The major difference between conservatives and progressives is that conservatives believe that the larger government becomes the more dangerous it is to individual freedom. People who run corporations or manage large government agencies or departments are imbued with the same basic human instincts, love, greed, guilt, faults, and the rest of our human limitations. In the progressive myth, private businesses and market functions need extensive regulations. But government by a progressive elite, though also managed by people with the same human instincts, does not need any check or balance. The inherent good sense and wisdom of the progressive elite managers of government will give us paradise on earth. An over-reaching corporation can be rather easily controlled and, at its worst, will not destroy individual freedom. In government by a perpetual progressive elite there is no individual freedom. Change often requires a revolt by the people. The progressive myth always has an ugly end game. The Obama regime is already acting like a managing one-party-elite. Have you noticed the IRS, Justice, HHS, the EPA, and other federal departments over stepping their traditional limits of authority and, most ominously, the unprecedented use of Executive authority ignoring the Constitutional role of the Congress? Do not believe the myth. It will enslave all of us. If you are a believer in big government, your conservative credentials are severely tarnished. 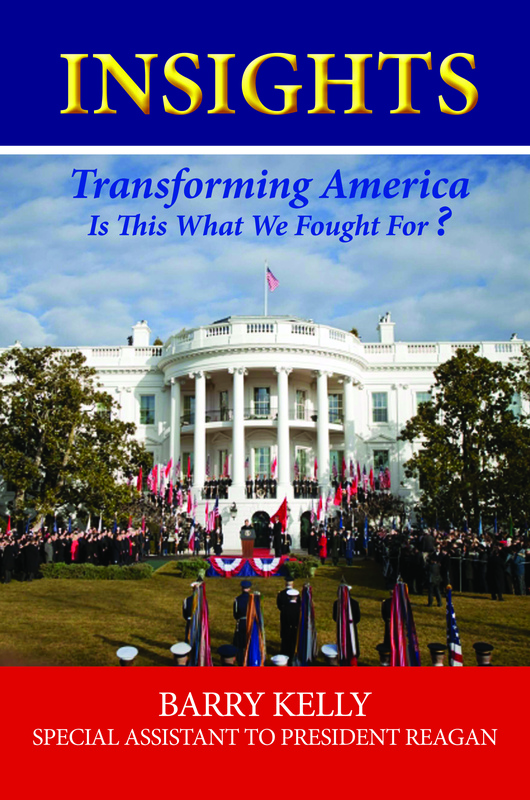 For more on the progressive agenda, check out my first non-fiction book: “Insights: Transforming America — is this what we fought for?” available at Amazon or Barnes and Noble. A COUP IN THE USA? Is a coup possible in America? If enough of us keep our heads buried in the sand, it will happen sometime. It may not require violence or the deployment of uniformed troops; there have been coups without gunfire in the streets. A coup is simply the shifting of power from an existing norm to a new organization of government that becomes the new norm. A new structure that no longer permits individual freedom to criticize or work to change back to the old system. The slogan ‘one person, one vote, one time’ is an apt description. No violence or dramatic action is required. A coup can happen slowly over a period of years, one small step at a time. The one thing that is essential for a coup to succeed is the coup sponsors must first destroy the opposition. In America the first opposition to a coup is the opposing political party. The law and courts also protect our current system. The concept of a separation of powers among the executive, legislative, and judicial branches of government is another bulwark against inside coups. Lastly, our traditions and collective morality make drastic change harder for the coup makers. Let’s assume that President Obama and his cadre of progressive radicals are working to turn America into a one-party government, run by a self-proclaimed progressive elite, in order to bring about their version of heaven on earth. Are they succeeding? The only way we can tell is to look at their policies and actions over the last six years. (1) Control health care and associated industries. The Obama administration is well on the way to controlling the seven plus percent of the national economy and a very large part of the populace. (2) Expand the welfare system under federal control. The welfare system, including unemployment insurance and food stamps, has grown immensely under Obama. (3) Ensure win at the polls. Using blatant delaying tactics, the administration withheld critical information on Fast and Furious (gun running to the drug cartels), Ben Ghazi, the IRS targeting of conservative groups, the targeting of journalists, and the true nature of Obamacare. It also fought voter I.D. legislation in all the states aimed at reducing voter fraud. Why would anyone object to identifying themselves at the polling places? The Obama administration knows how to win elections using all possible tactics. Random thought: You would think that a President who leads from behind, would stand behind his word! (4) Re-distribution of wealth. The increase of welfare programs, the pushing for higher taxes on the wealthy, and constant messaging to promote class warfare are seen by many as an organized campaign to destroy capitalism and the free market. Plans for a death tax to destroy the economic power of wealthy American families are waiting in the wings. The administration is fully prepared to use the United Nations to re-distribute national wealth through programs like Cap and Trade (global warming). (7) Focus attention on domestic issues. Notice the president almost never gives a speech devoted to foreign policy issues. 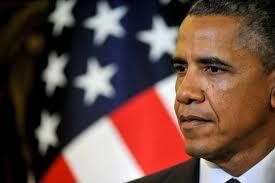 All his energy is devoted to transforming domestic America. He is so inept at foreign policy that it appears he just doesn’t care about foreign issues. (8) Destroy the opposition. With considerable help from the hopeless Republican Party leadership, Obama progressives are well on their way to establishing the ground work for a one-party system. (9) Control the justice system and the courts. The Department of Justice is under tight control of the progressive agenda. Why else would investigations by Justice employees, including the FBI, be so slow and ineffective? The IRS’s deliberate targeting of conservative groups and the State Department and Joint Chiefs lies and failures of the Ben Ghazi affair are virtually being ignored by the FBI and Justice Department. Congressional inquires by the Republican-controlled House of Representatives are, at best, lackadaisical. After the debacle of the Supreme Court’s rewriting of the Affordable Care Act to make it constitutional, can we count on the judicial system to protect the Constitution from the executive branch’s routine usurping of the powers reserved to the Congress? Probably not. (10) Corrupt the civil service. The IRS, FBI, STATE, EPA, HHS, ENERGY, JUSTICE, EDUCATION, DEA have all lost their claim to being politically neutral. They are, or seem to be, fully on board with the Progressive Party, once the proud Democratic Party. (11) Weaken the military. Successive deployments have worn down the troops. They need more manpower, not planned cutbacks. New weapon systems need to be planned and procured. The Joint Chiefs of Staff needs to be composed of people who are not afraid to tell the truth and who will not lie to protect the White House. Mission creep turned the campaign in Afghanistan from victory into a defeat. Nation building is not something the military or any part of our government knows how to do. The War in Afghanistan under the current rules of engagement cost us many of our best and bravest. (12): Protect the message. Everyone in the Progressive Party must be on the same page. It doesn’t matter if the message is true. Over and over with the big lie while at the same time doing everything possible to censor the opposition. Outspend them, use the power of the government to criticize and punish the media outlets that print and broadcast news that is not favorable to the administration. Fox News and talk radio are examples of uncontrollable media outlets. Witness the recent effort by the FCC to send its people out to newspaper media outlets to query them on how they decide to publish an article and what is their political position. Under a law-abiding administration, this would be prevented by the Constitution. If the current governing process is continued, you won’t be able to recognize what is left. Your freedom and control of your own destiny will only be memories. It will be a coup by a “thousand cuts.” Wake up, America, while there is still time. By the author of the Jack Brandon novels.